Todolwen: Wanting To Be A Little Creative? 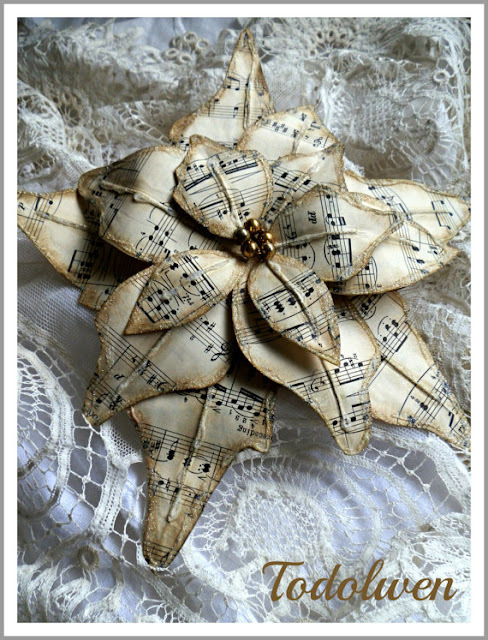 ..
looking for a little something to create that is Christmassy? For those of you that don't know, I have several little free 'how-to's on my tutorial page and they are all about Christmas. I also have a these two tutorials listed for sale in my Etsy shop that just shout Christmas is coming. ... and my poinsettia stocking would look so lovely hanging from the fireplace mantel. 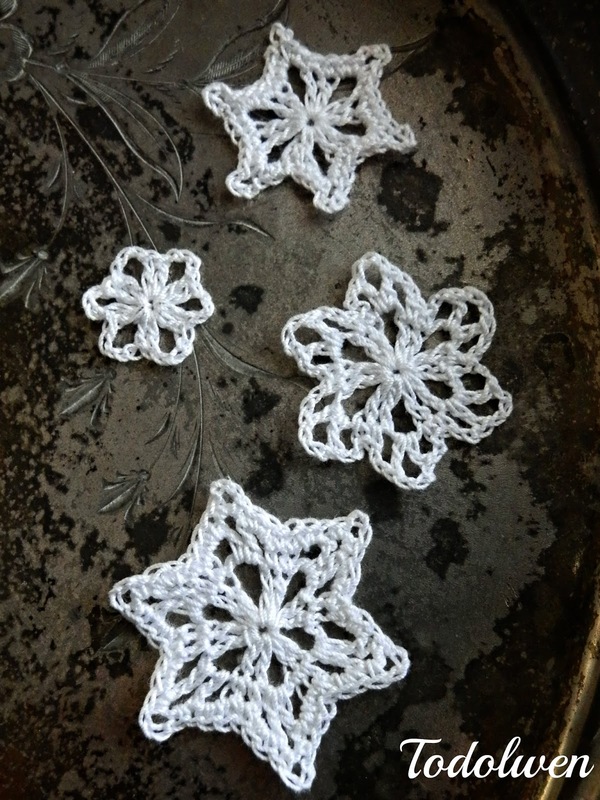 From cochet littel snowflakes to poinsettia napkin rings, if you are wanting to be creative, you might just find something you will like to make. 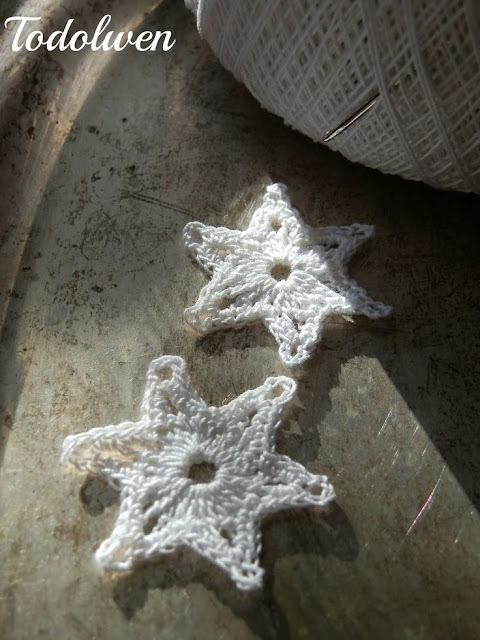 So why not head over to my tutorial page and check it out and after that stop by my Etsy shop and take a quick look there too. It is so nice of you to stop by here at Todolwen today and I hope you have enjoyed your visit. Lovely creativity on your blog. Have a wonderful day, Karen! I love all your wonderful christmas creations Karen! 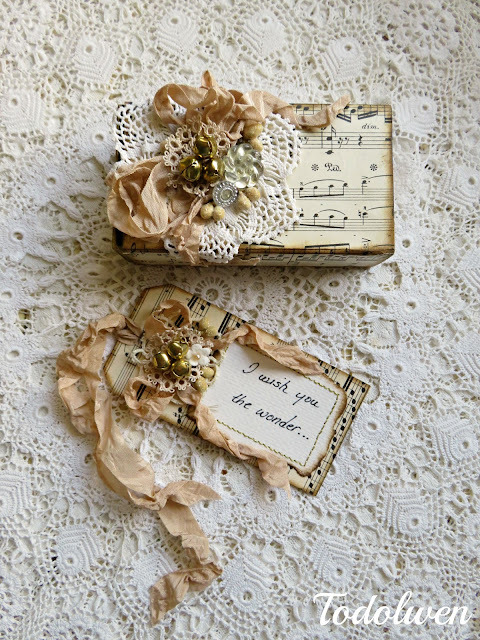 What beautiful keepsakes you have crated here so delicate with a shabby chic touch on some too. I love love love your shabby chic tag, box and paper poinsettia goodies. Just beautiful work, Karen. Just beautiful! So much beauty Karen, I love all you so wonderfully created, and your glittering nature pieces ,too. 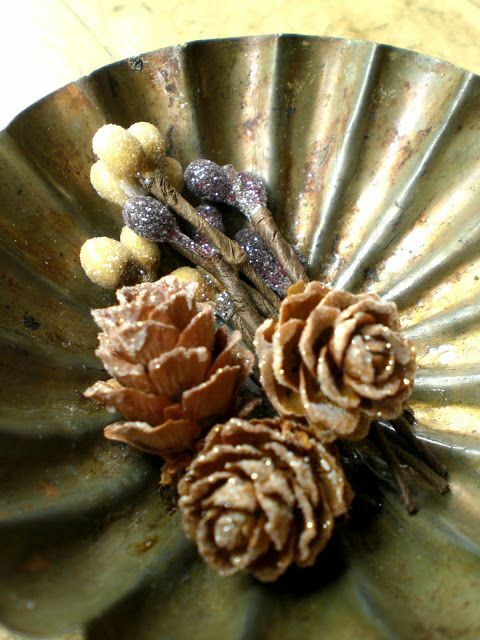 Que preciosos detalles para decorar en Navidad!!!! 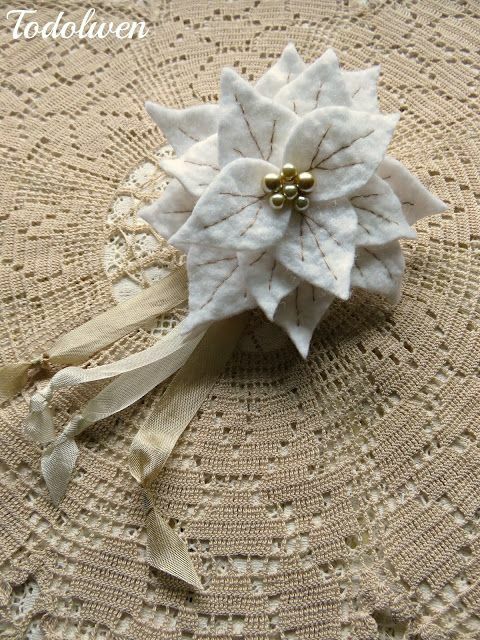 I'm just waiting for some wool felt to come and I'll be making a couple of your poinsettias for a gift for a friend. I thought she'd like them for her Christmas tree. Thank you for the tutorial! Everything looks so beautiful and festive here, dear Karen. Thanks for sharing. 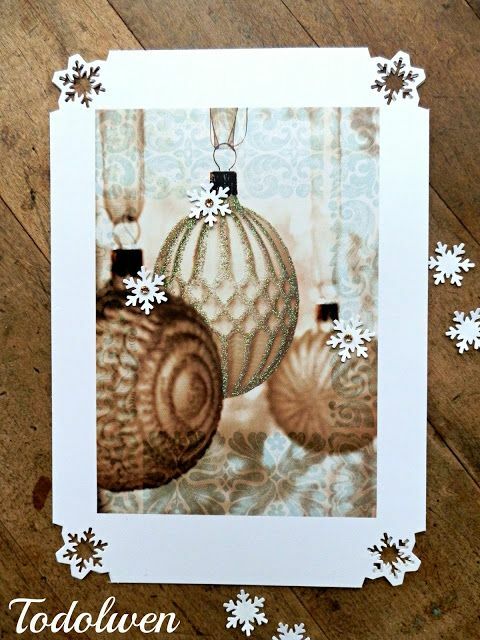 So many ideas can be created from your beautiful Christmas decorations! 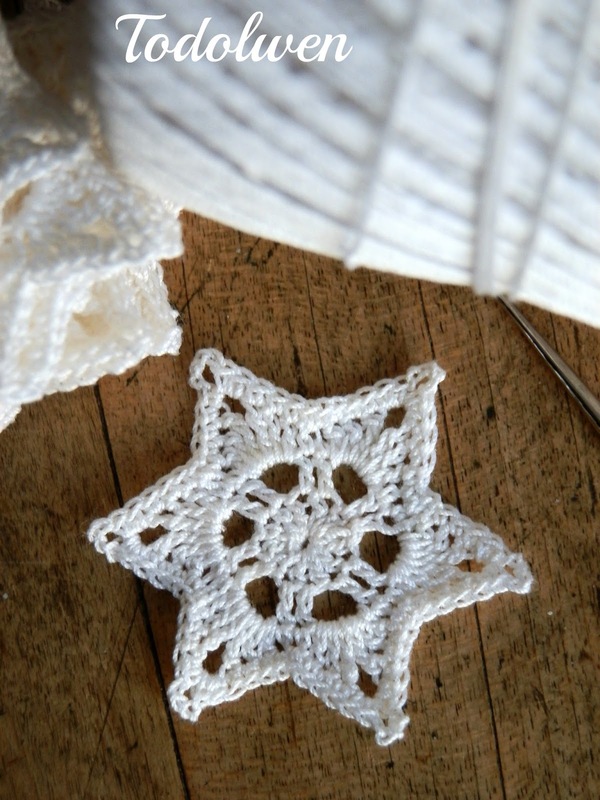 Those little crocheted stars could be added to almost anything - even your cards! Your works are so sweet and inspirational! So wunderschön sind die Dinge, die du entstehen lässt! Grossartig!